Heart Evangelista was at the province of Sorsogon for some campaign rounds for her husband Senator Chiz Escudero. Senator Chiz is vying for the gubernatorial seat of the province of Sorsogon in the upcoming May 2019 elections. Looking very first lady–esque in white, Heart already looks the part of a governer’s wife. We aren’t surprised. Can we really expect anything less than full-on freshness from Heart? Of course not. 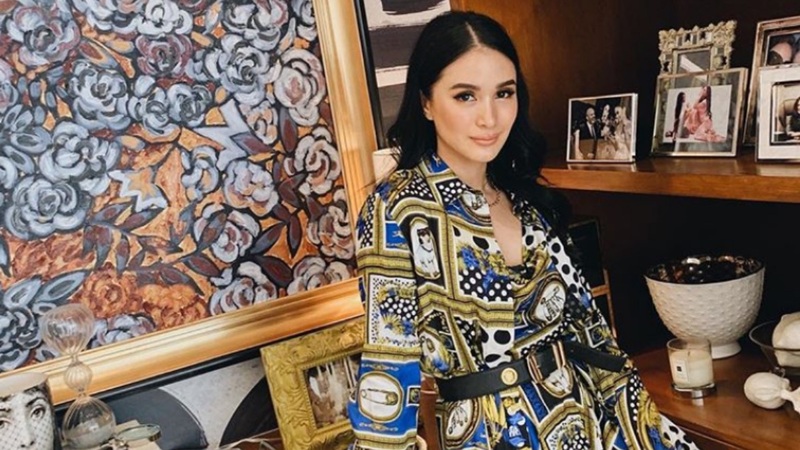 Looking every bit as camposed and fabulous each time, Heart is known to bring her A-game to every stylish situation—be it hobnobbing in fashion weeks around the globe or hanging with Sorsogon’s consitutents. We love how even though she looked poised and fab as always, she was still so welcoming and warm as she made her rounds. However, we’re half expecting her to comically plan out her campaign OOTDs and post them like she did her grocery looks a couple of months back. Sigh. If only we could look as perfect as we do our palangke trade checks as well.